Financial Monitoring of Subrecipients: What Makes Sense Now? The federal government has made a big deal about the responsibility of primary grant recipients and other “pass-through entities” to monitor their subrecipients. Countless grant statutes impose program designs that require extensive subgranting. And, even where subawards are not required, grant applications are often constructed by consortia and other arrangements in which one organization takes the lead in requesting the direct grant and its “partners” receive subawards. Given the amount of funds involved, it is logical that federal requirements say that pass-through entities must “monitor the activities of the subrecipient as necessary to ensure that the subaward is used in compliance with federal statutes, regulations, and the terms and conditions of the subaward, and that subaward performance goals are achieved” (2 CFR 200.331(d)). Compliance monitoring and performance monitoring are required and relatively understandable. However, how financial monitoring exactly fits into those categories is never fully explained. This has led pass-through entities to undertake a patchwork of resource-intensive activities often in the name of “internal control.” Some financial monitoring arguably duplicates what is supposed to happen in single. And, the phrase “micro-management” sometimes describes reviews in which back-up documentation for every transaction charged to the subaward is submitted to the pass-through entity or scrutinized onsite. 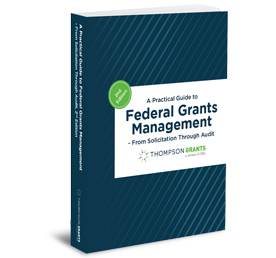 Join Bob Lloyd, principal of Federal Fund Management Advisor™, for this informative and practical look at a high-profile federal grants management activity that currently generates more than its share of frustration.